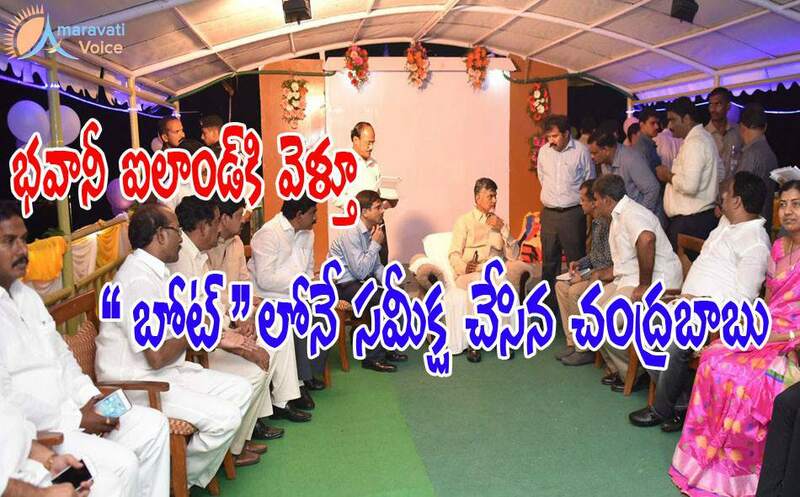 Chief Minister Chandrababu Naidu, participated in the World Tourism Day Celebrations held at Bhavani Island. On the way to Bhavani Island, he has done a small review meeting in the cruise boat itself, where Krishna District Collector, MLA's, MP Kesineni Nani, Minister Devineni Uma, ZP Chairperson and Mayor are present. Later, the Chief Minister gave away awards to best agencies and hospitality players in the state.